Grand Private Pool Suites at Impiana Private Villas in Kata Noi, conveniently located on the 1st floor; the largest of our pool suites in a modern style. 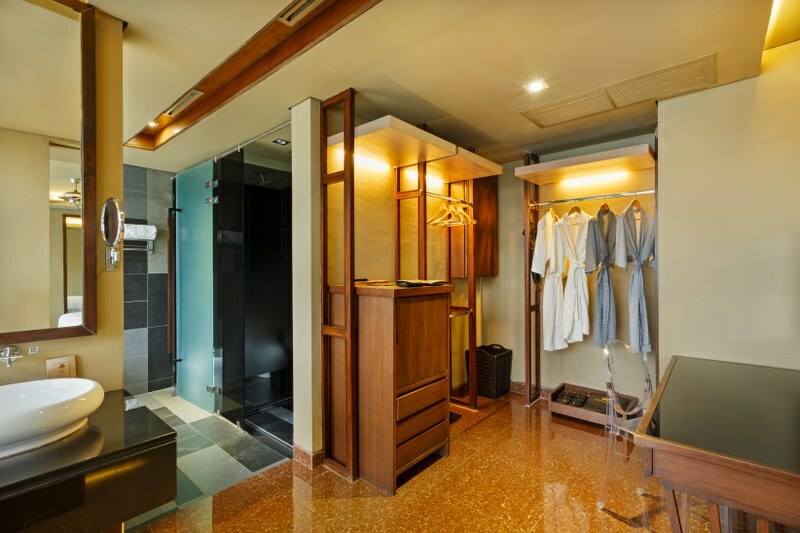 This luxurious suite in Kata Noi Phuket comprising of a king size bed, spacious living area and the sea viewing bathtub feature with rain shower. You can immerse yourself in the privacy of your pool enjoying the panoramic ocean view and the stunning sunsets. In this artistic refinement in air-conditioned comfort or soak in the natural splendour that is just a glass door away. 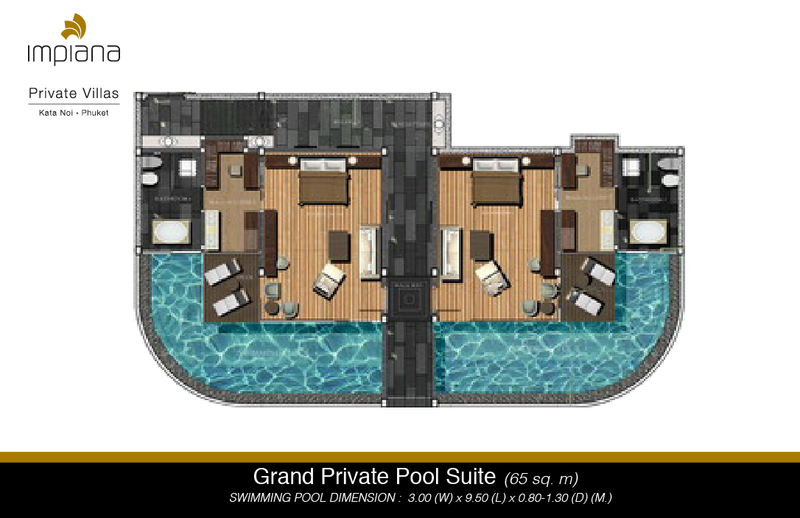 This sea-facing full-glass partition opens up to your private pool, your private views of the Andaman Sea.